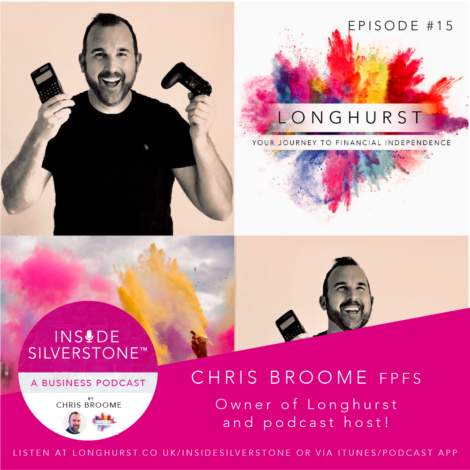 In a special Christmas Eve episode, your host, Chris Broome, draws Season One of the podcast to a close by reflecting on a successful 2018, which has seen the launch of his lifestyle financial planning business (Longhurst), and the launch of the Inside Silverstone Podcast. Listen as Chris also talks about what life’s really like within the Silverstone business community; his positive experiences to date; and his hopes for the future. He also provides thanks to two key individuals (Pim and Matt) whose support this year has been invaluable. He concludes this season finale by explaining the plans for Season Two, and the need for new guests to step forward and be brave enough to appear on the show. Then, as a bonus, we share a 10 minute group recording, hosted by Roz Bird, and courtesy of a Christmas social event Longhurst organsied on Thursday 20th December. We hope you enjoy!